The system features a motorized XY stage with joystick controls to navigate, observe and measure bonded wafer/die alignments, find defects in a manual mode and determine material stress via the system’s optional birefringence capability. The BT-IR is well suited for QA/Reliability and R&D to enable continuous process improvements for production. 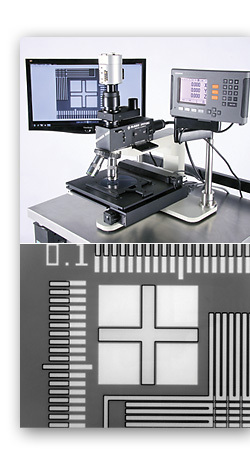 Typical applications include bonded wafer alignment metrology, die alignment metrology, sub-surface inspection, MEMS device inspection, 3D stacking process development and control, incoming wafer inspection, birefringence for material stress characterization, wafer-level CSP's, and much more. McBain BT-IR systems are available with a variety of optical and illumination accessories and custom wafer/part fixtures. Copyright © 2013-2018 McBain Systems. All Rights Reserved.